2014 / A Walk through Action Prague expands our awareness of Czech action art by a host of hitherto unpublished actions and photographs. 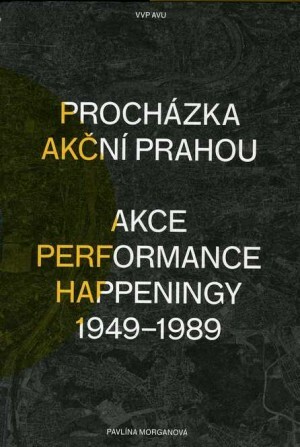 Above all, however, it is a guide that localises more than 150 performances, happenings and other action projects that took place in Prague between 1949 and 1989. Venues included popular tourist destinations as well as half forgotten corners of the city. The documentation of these events helps us re-examine the aesthetic of the urban environment and reveal the social and political context of the time. The bodies of the performers draw our attention to places that have barely changed, as well as others that have disappeared and can only take shape in photographic form. Setting foot in the original venue of an action is an experience that transforms significantly the interpretation of action artworks and surpasses the experience of looking at their documentation. 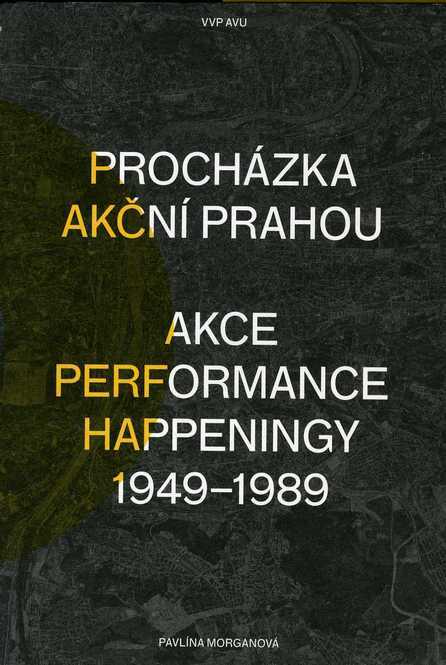 In addition, the map of the city shows how Prague actions, performances and happenings gradually moved from the public space of the centre to the suburbs during the post-war period. This alternative guide through time and space is intended for anyone who wants to learn more about post-war Czech art and peek beneath the current carapace of the city; to traverse a city swamped with tourists and see its sights with new eyes; and to discover unknown corners of Prague that were important for someone, sometime. The book is part of the Documents series, in which the Academic Research Centre of the Academy of Fine Arts in Prague offers a critical evaluation of recent Czech art. The book will be available from the online bookstore at www.kosmas.cz or at VVP AVU.